Ecobank Transnational Incorporated (ETI) has announced a strategic partnership with Qatar National Bank (QNB), which has been recognized as one of the world’s strongest and safest banks and has now acquired a 12.5% stake in ETI. 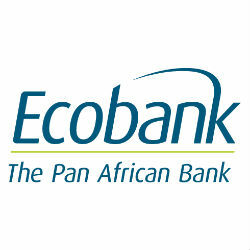 The partnership is expected to facilitate the growth of new business relationships that will be of mutual interest to their respective customers and, according to the ETI Group CEO, Albert Essien, will help to grow Ecobank’s regional footprint. With more than 25 years of experience, Ecobank is currently the leading pan-African bank with operations in 36 African countries and 4 countries outside of Africa, with total reported assets of USD 23.4 billion and USD 255 million in pre-tax profits as of June 2014. The bank already has a strong strategic partnership with South African banking giant Nedbank, making it a dominant player in Middle Africa and South Africa, and one of the top three banks by assets in 14 of the 36 African countries where it operates.